There is just SO much I love about being in this industry, but I think what I love the most is the community. I’ve been finding that the world in general is a small place, but the culinary/food service world is even smaller. When I started working at the Taj, we all I know I experienced the “its a small world” feeling with my awkward tinder moment (you can catch up by clicking here! )… But I also have connections with each of my co-workers! One of them used to work with my old Flour co-worker and the rest went to Johnson & Wales where our worlds somehow crossed from time to time. 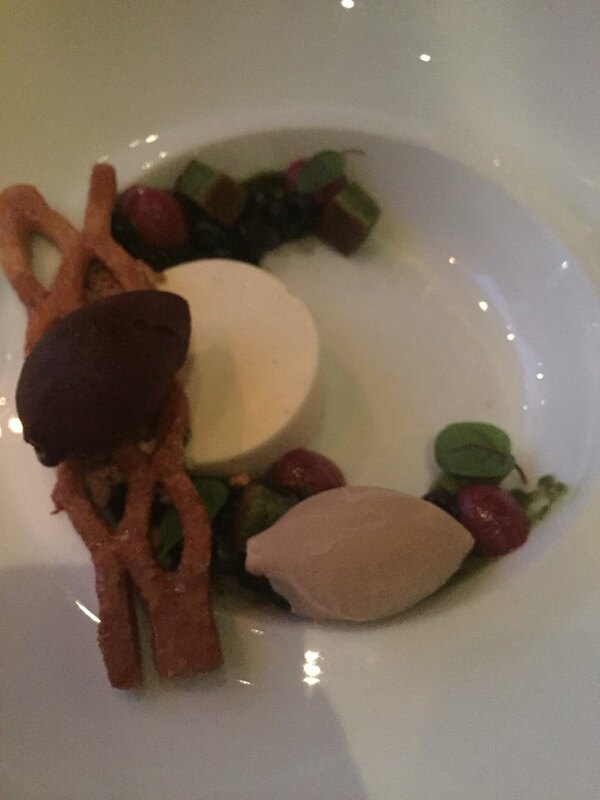 I ended up going to Deuxave with two of my Taj co-workers to try the dessert menu by pastry chef Jamie Davis Schick (check out her instagram here!) before she moved on to the next step in her career. My friend April used to work for Jamie at No. 9 Park so we were treated as extra special guests at an extra fancy restaurant! 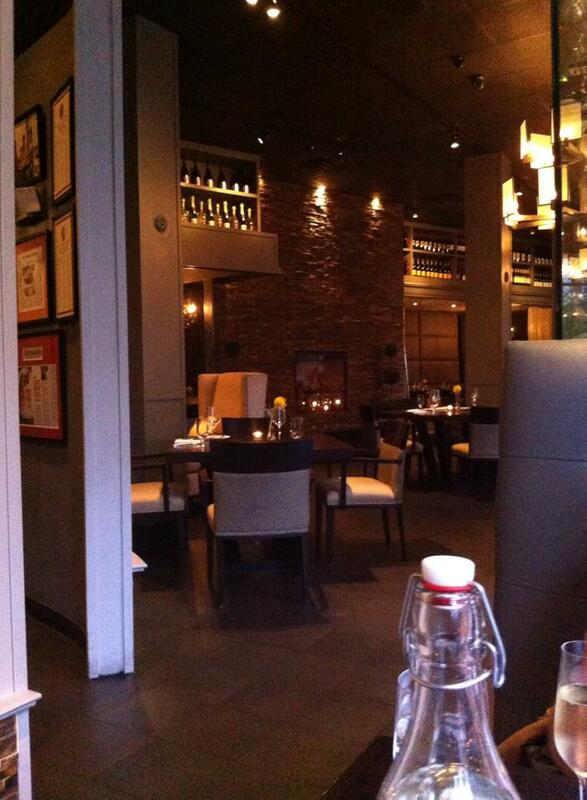 Deuxave is located at 371 Commonwealth Avenue in the Back Bay area. It’s easily accessible by the T; its just a few minutes walk from the Hynes Convention Center on the green line. They also do valet parking for a pricy $18 or if you’re the luckiest person on the planet, you might find a free metered spot along Massachusetts Avenue. 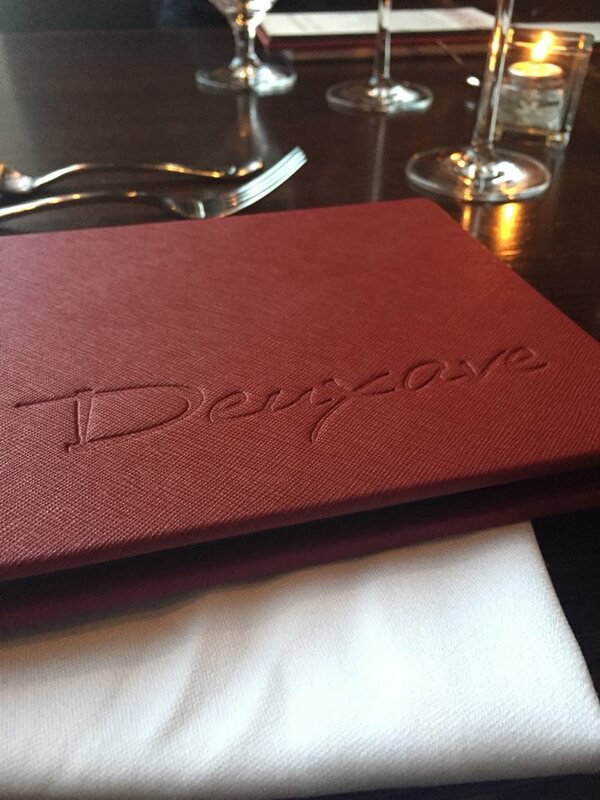 Deuxave is open for dinner 5 to 10pm on the weekdays and until 11pm on Friday and Saturday. This restaurant is beautiful and definitely high end. Save your pretty pennies and dress up for a fancy night out! April and I waited at the bar for our friend Sarah and chatted with Jamie for a few minutes! I was definitely excited to try her menu and it was also really great to get to know her a little bit. 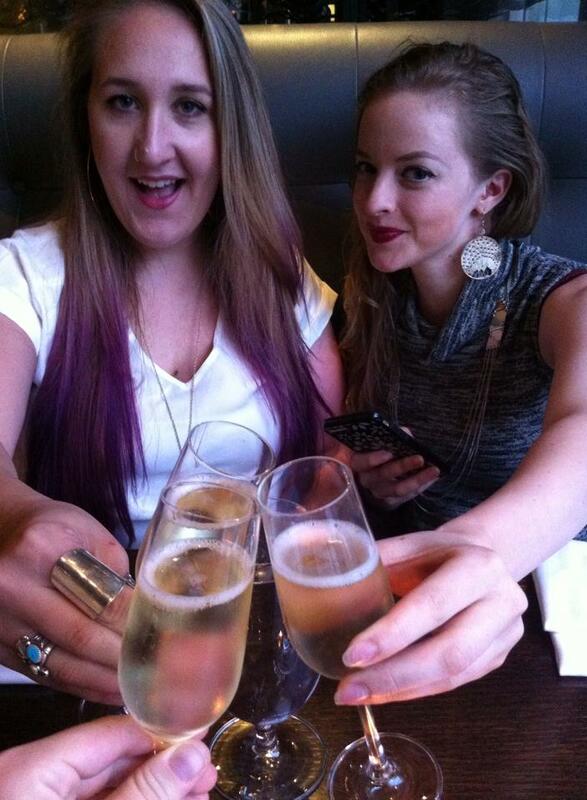 After being seated, we were sent 3 glasses of champagne! 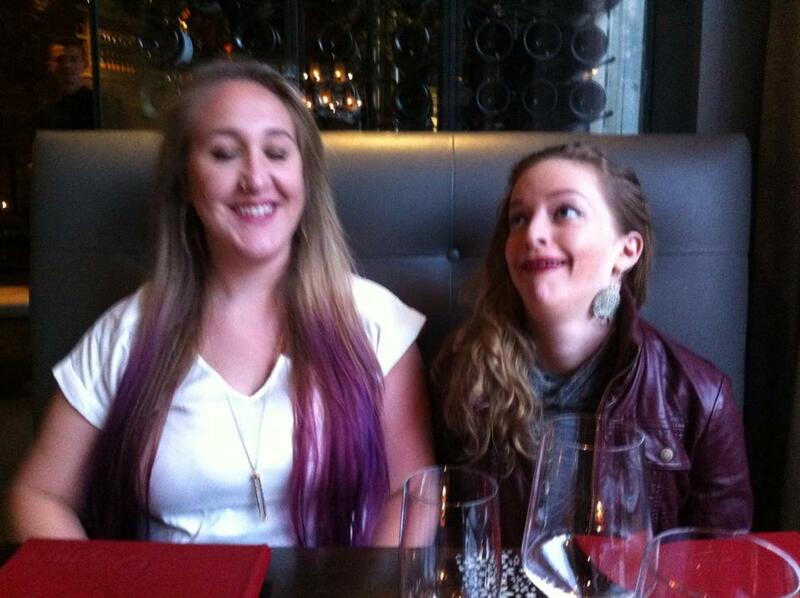 We took a couple silly pictures, toasted and then reminded ourselves that we needed to behave in such a nice place. 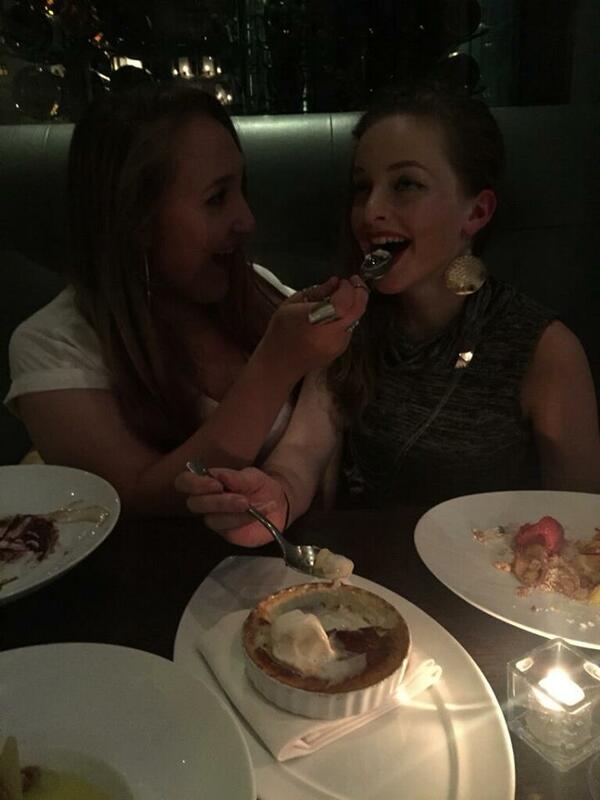 We perused the menu and picked one dessert for each of us to order with the intention to share. Also unexpectedly, we were sent an intermezzo. I’ts basically a pre-course to set the precedence for the rest of the meal. 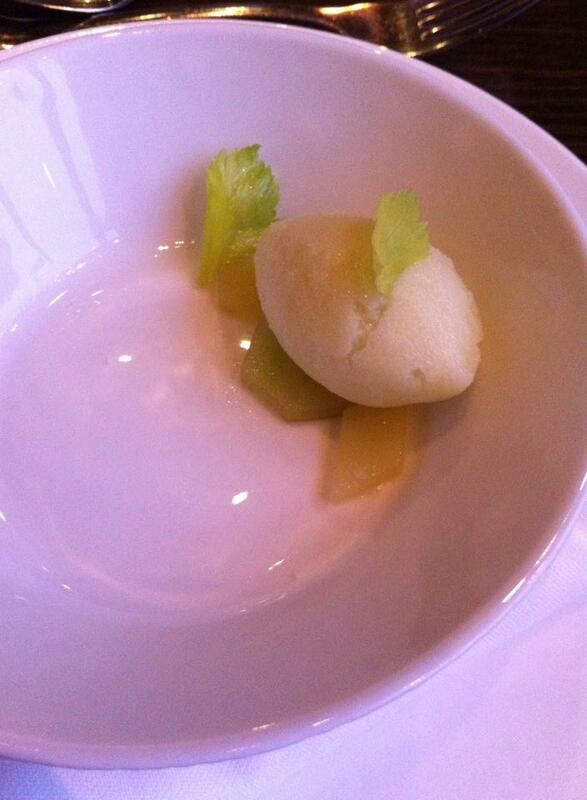 We were sent a fennel celery sorbet with compressed yuzu and tarragon. It was a really interesting mix of sweet and savory. The sorbet reminded me of chicken noodle soup- almost a little buttery! And again, we were sent EVEN MORE stuff! Jamie sent us the creme brulee with meyer lemon sorbet. The creme brulee was so creamy and rich and the sorbet was a nice change of pace from the fatty creme brulee. The sorbet wasn’t super tart because meyer lemons are small and sweet. YUMMM. 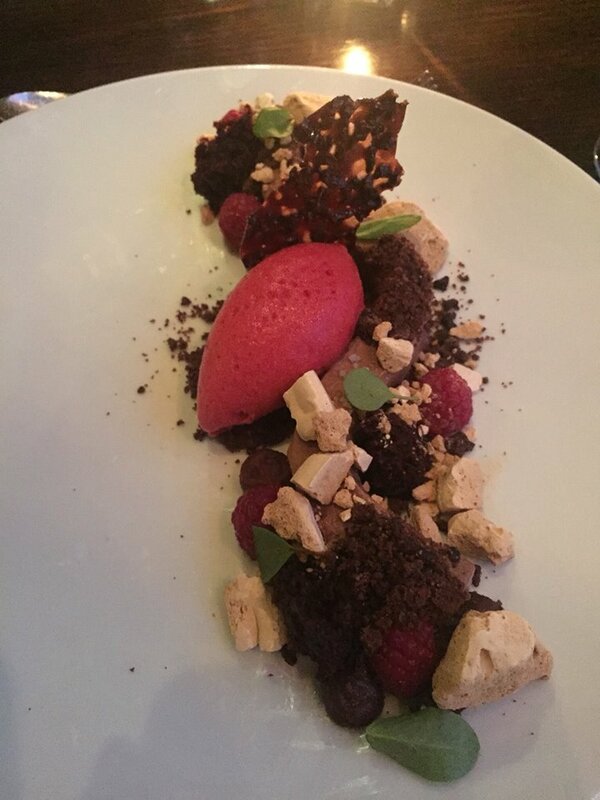 Jamie also sent us a new dessert in the testing phase! 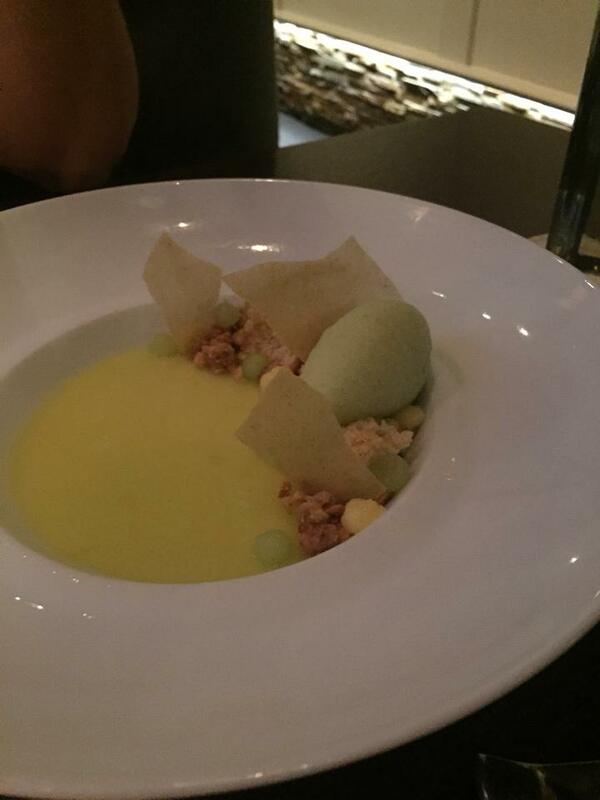 It was yogurt panna cotta with a green apple gelee, chartreuse and apple sorbet, olive oil cake and green apple glass. The yogurt panna cotta was super super tart but I’m also not the biggest fan of yogurt. My friends were gobbling it up though! 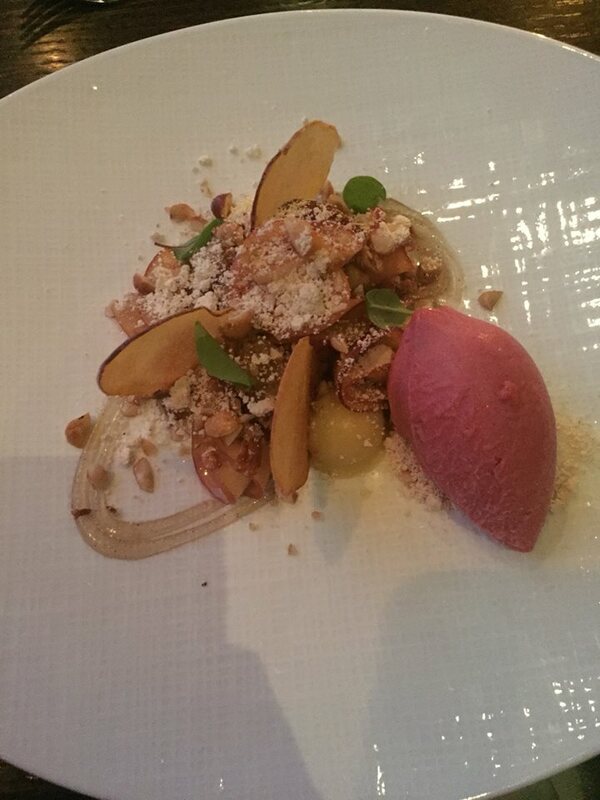 I really enjoyed the olive oil cake and green apple/chartreuse sorbet. Fat and happy, we were ready for our bill. We were sent little mignardise on the way out which are small bites (almost like mints that go with a bill). 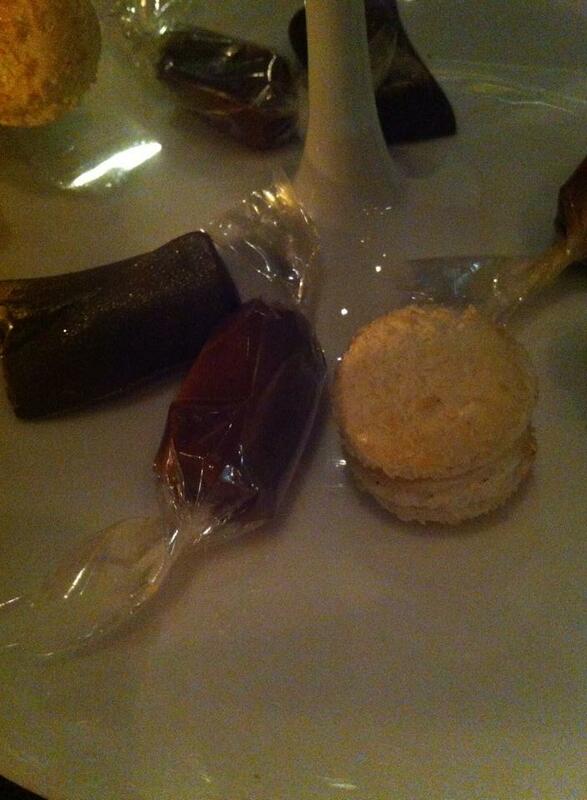 We each got a vanilla caramel, coconut macaroon and coffee bonbon. I WAS SO FULL AND HAPPY. They only charged us for the three plated desserts and our water (first time I’ve had that happen…) so our bill only came to $55 with tax. We each paid $25, leaving a healthy tip for our waiter and waitstaff who took such good care of us. 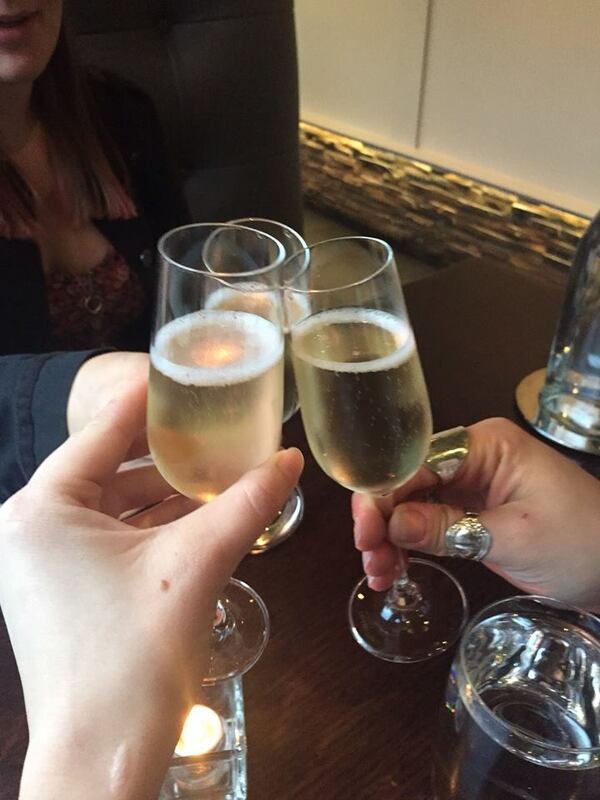 I had an excellent time at Deuxave and was so happy to be able to experience someone else’s menu! On Tuesday, I divulge how to deal with crazy landlords and still walk away with a win! As stressful as adulting can be, it certainly isn’t boring. Have a great weekend eveyrone! OMG got hungry just reading through this post. Everything looked and sounded so good!! !